It’s time to get back to my journey and sharing it with you. I’ve had a very shoe- centric 3 months. It’s been exciting and exhilarating and best of all, I’ve carved a path forward with my business. As many of you know, I had not been able to practice my shoe making skills. My full-time job and personal issues were keeping me very busy. 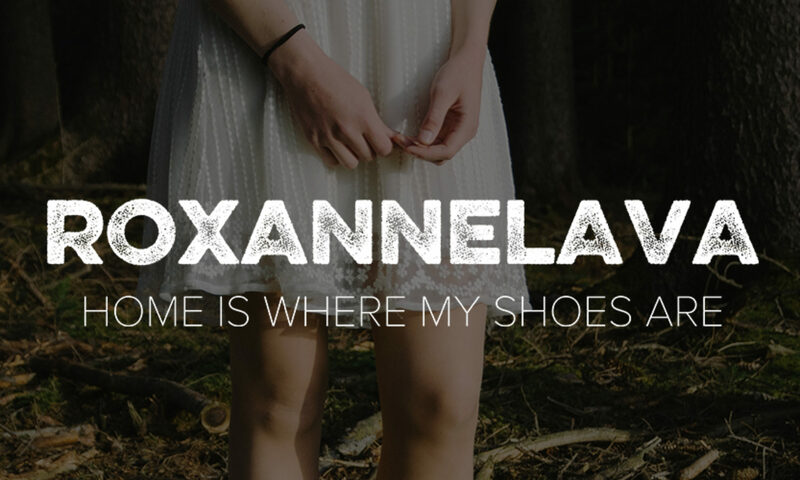 Last summer, I made a decision to make some big changes that would allow me to focus on shoe making. I’ve stepped down from my full-time teaching position as of August 31, 2016. I’ve beefed up my consultancy, ONO made in the 191. 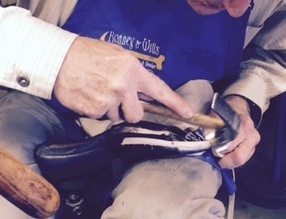 I attended a Shoe Symposium in Ashland, Oregon and re-connected with my teacher Bill Shanor from Bonney & Wills. The biggest gain from this experience was a bunch of small quantity suppliers. These relationships have been critical in my path forward. I also made a connection with Iron Horse Boots who has a similar business model to me. I am hopeful we can collaborate and support each other as we move forward. Since May, I’ve been working on making. I started with a recycled sandal and since have moved into 6 styles of women’s sandals. I’ll share each with you in my next posts. The plan is to work on my craft, work through prototyping and have the prototypes tested. So far so good. I’m concentrating on cement construction just now. Vintage Singer Post Bed Machine on a Reading Table. 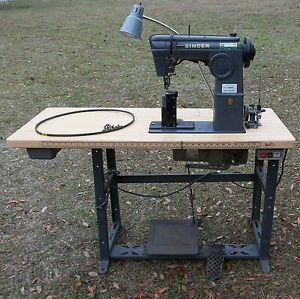 The next batch will include sewing with my fabulous new (to me) Singer Post Bed Machine. I’m partnering with screenprinter/bag maker, Tim Eads. His fabric, my designs to make a men’s loafer style deck shoe and women’s espradrilles. The bases have just arrived via Esty. I’m back and ready to share my journey with you. Sit back and enjoy. Louis soles cover the sole and heel. This week we return to my shoe making journey that is coming to an end and my shoe is born. With heels fixed we attached our soles. 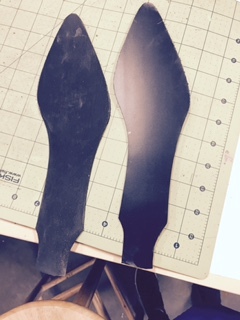 These are known as Louis soles as they cover the bottom of the shoe and wrap around the inside of the heel. 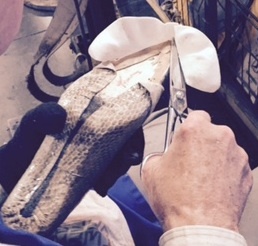 The shoe is then finished with a heel cap. I’d like to take a short aside here to note that I chose a kitten heel which is about 2″. 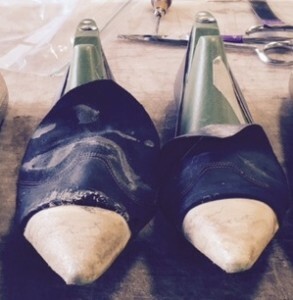 The heel height is determined by the last, but you can push the height a bit giving you a range of heel options. My last was made for about at 3″ heel. 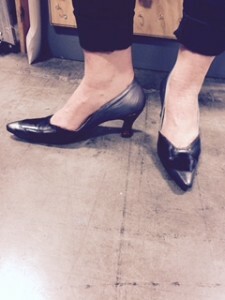 My choice of 2″ heel gives my shoe more toe spring, meaning the toe angles up a bit. I personally like the look and feel of a bit more toe spring so this is a win for me. With the lasting complete, we can take a good look at my pumps and see how I fared. You can really see the metallic leather wrinkling. That leather just did not want to become a shoe! This was a great lesson for me about hides and leathers. There are so many places where leather can go wrong. The animal could have had a poor hide. The tanning process could have contributed. The finishing process (adding the metallic) could have contributed. I was too far down the road in a structured class to fix it, so I will wear them proudly. I don’t think anyone will be on the floor checking them out that closely. 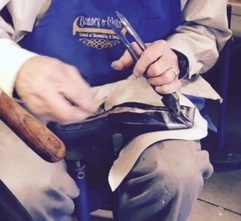 So ends this shoe making journey and my time in Ashland, Oregon with Bonney & Wills. I can’t wait to get into my studio and practice. So I am back and somewhat recovered from my gallop through London and Paris with a few side trips along the way. One of those trips-to Prescott & Mackay for a half day of practice sewing for shoes. 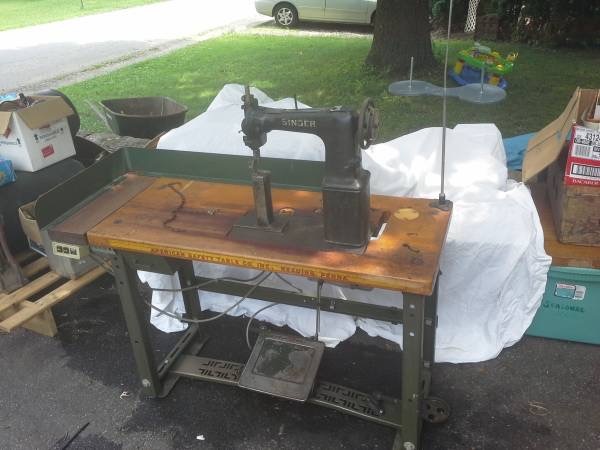 When I was in Ashland Oregon at Bonney & Wills, I fell in love with an old post bed sewing machine. I loved the freedom of movement and roller foot guide, however, it does take some practice to gain control and make really straight and evenly spaced lines of stitches. I had some credit on tuition from Prescott & Mackay, so I decided a half day of sewing practice would be just right while I was in London. I was re-connected with founder and instructor, Melissa Needham who headed my sandal making workshop last year. She was also part of the Shoe Design workshop I took with Aki Chocolat. Together we planned a day that focused on needs to meet my personal goals. Our day began with a nifty sewing exercise. 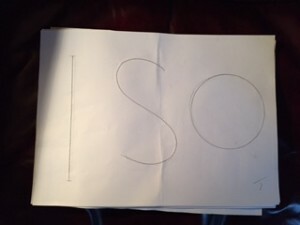 I can’t believe I have never considered this method of learning in all my years of sewing! 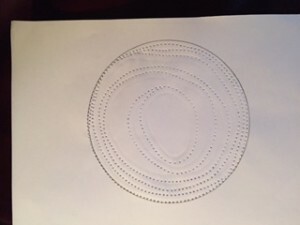 Melissa had me sew shapes on paper with a non-threaded needle – pure genius. I am really pretty good with straight lines and “S” curves, not so bad on the circles, but I still need some work on the spirals. Our next phase put the sewing into action on a toe box seam and leather straps. This process is a bit time consuming as we went through cutting leathers and liners. The straps needed a stiffener and all needed to be glued. We reviewed “stretch” in hides, pattern layout based on imperfections in the skins as well as using the most hide and weight of the hide. We also talked about over-handling and over-working the skins. Interestingly, this lead to me thinking about using imperfect materials for my brand. I used lighter and more stretchy hide for the toe box on this practice than the leathers on my pumps. It required some finesse in placing the glued materials. This hide was delicate and I couldn’t afford to place the pieces and then have to pull them apart-that glue is strong! I used a hammer to flatten the edge. It is important to let the glue completely dry before sewing. This was a bit of a challenge in our time frame. As you can see, the seam is not perfect, but it is nicely flat. Melissa then showed me how to work with straps and a buckle. We used Tuftsta, a self adhesive backed material that acts as the reinforcement for the straps. The idea is to sew lines that are long and continuous without many stops. as you see below, I started in the wrong direction so what should have been one long continuous line of stitches became two. She also demonstrated a nifty trick for getting an exact flat leather strap interior which results in a dead flat seam that can be used on the interior to insure less foot irritation. One of the hardest things we learned was lasting. I definitely need some practice with this. Between my carpal tunnel and tools that just didn’t fit my hand, I was flummoxed. I am happy to say that Bill also had a tough time lasting my shoes too, so I didn’t feel defeated. In fact, I came right home and prepared a last for practice. Then life got in the way…Maybe this week! 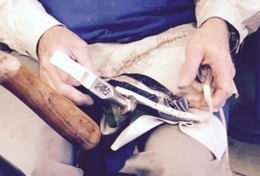 Lasting is the method of connecting the upper to the insole, sole and heel. In essence, the upper is pulled around the last very tightly and secured to the insole. It is where the shoe takes real form. Bill’s trick to getting the last right is to do 3 big pulls around the toe. You can get most of the excess in these 3 pulls. Lasting itself is quite difficult. You have to hold the shoe firmly against your thigh. 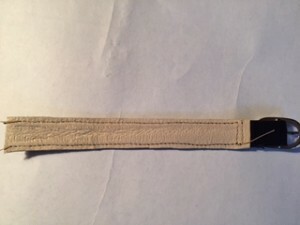 Then you must pull the leather tightly around the last and hold it with your non-dominant hand. With your dominant hand, you have to insert a tack and then knock it in with your hammer without holding it. It is a foreign and uncomfortable process. I think it will take some real practice to get it and get comfortable doing it. 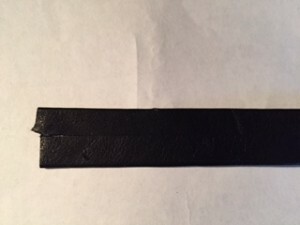 As I’ve noted, my leather didn’t want to be shoes, so Bill suggested I use a leather guide strip to help flatten the pleats on the edge. Since you are tacking through the thicker strip, your shoe leather is less susceptible to tack holes that may be too close to the edge. After lasting the upper, we prepared our heels. We roughed them up, glued and trimmed the leather. Then they were screwed and/or nailed to the shoe. 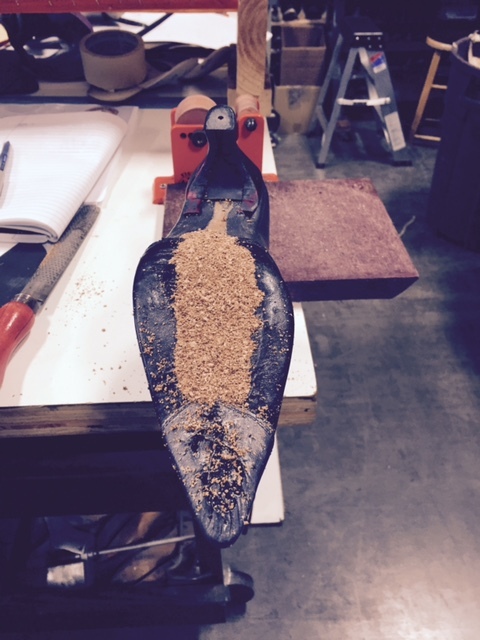 We removed the lasting tacks and lastly we added some rough cork to the bottom to even it out for the final soling. Each of our shoe designs needed various reinforcements throughout the making process. Mine needed tape between the liner and upper around the top line and the heel. ALL of our design needed reinforcement in the toe box, so enter the toe puff. The idea is similar to using interfacing in apparel. It is placed around the toe between the liner and upper to provide shape and support in the same way one might add interfacing at a collar, cuff or armhole. 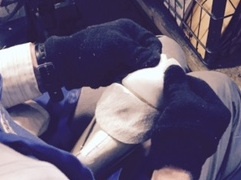 Place and shape the toe puff firmly. 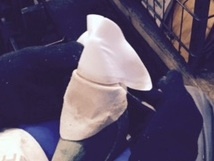 The toe puff is a basic toe shape that is impregnated with heat activated adhesive. We placed them in a toaster oven to activate the substance and then placed and shaped the reinforcement over the lining. We worked quickly to get them placed and set without wrinkles. The adhesive sets fairly quickly so you have to place it properly the first time and then quickly shape it around the toe. For those just learning and less adept at the first try, there is a way to remove them and start again. One thing about the entire process is that it is fairly forgiving. Many things are reinforced with glue which can be removed with solvent. 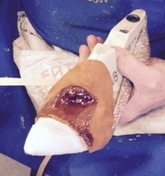 Gluing the upper to the toe puff. Gluing the upper to liner. 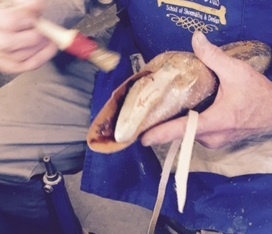 Next the puff is trimmed on the underside of the shoe. It is always important to trim to reduce bulk and increase comfort. Finally, the upper is glued to the puff and then stretched around the toe and glued to the liner. All set and reinforced! The shoe is really taking shape. Next up is my nemesis – LASTING! Green is springing up all over. Even in still wintry Reykjavik. Sparkle, texture, shine - three of my favorite things! The Art of the Mule – Something New for 2019!